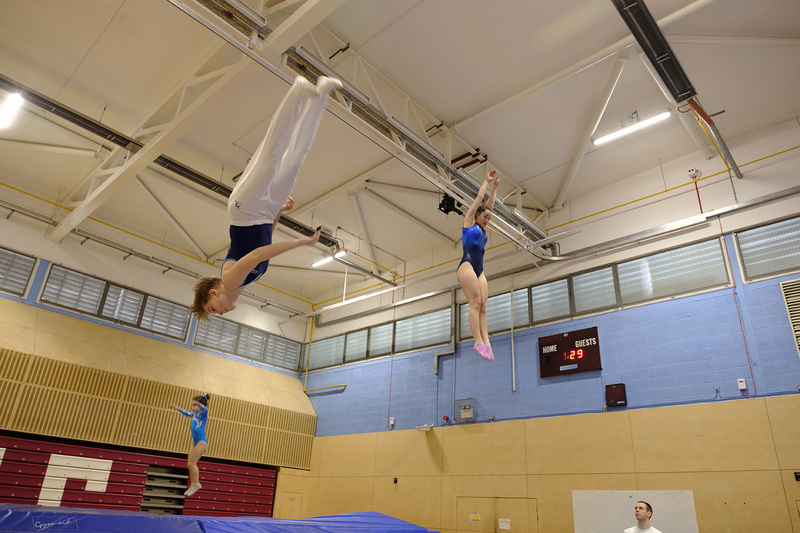 Competitive trampoline gymnastics is exciting, exhilarating and so much fun. 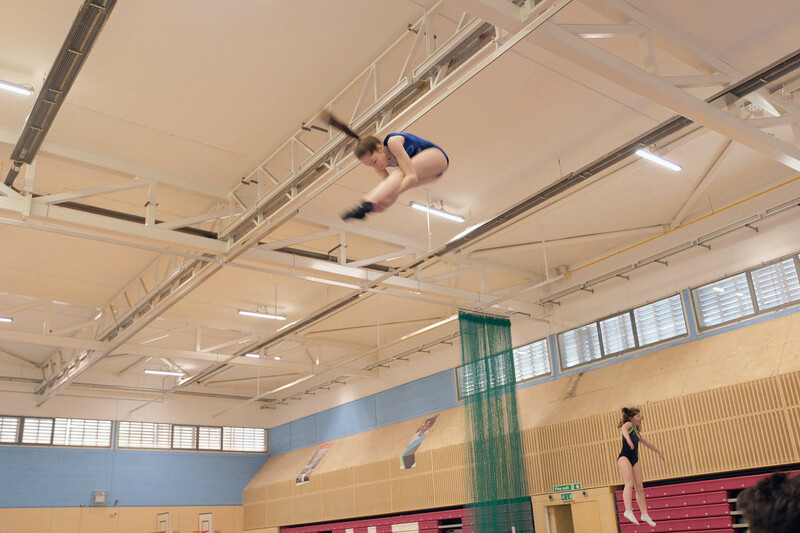 Within the safety of the Academy and competitive settings, the focus in our trampoline lessons is to help our students enjoy their time with us in ways that exceed their own expectations of their capabilities and what they can achieve. 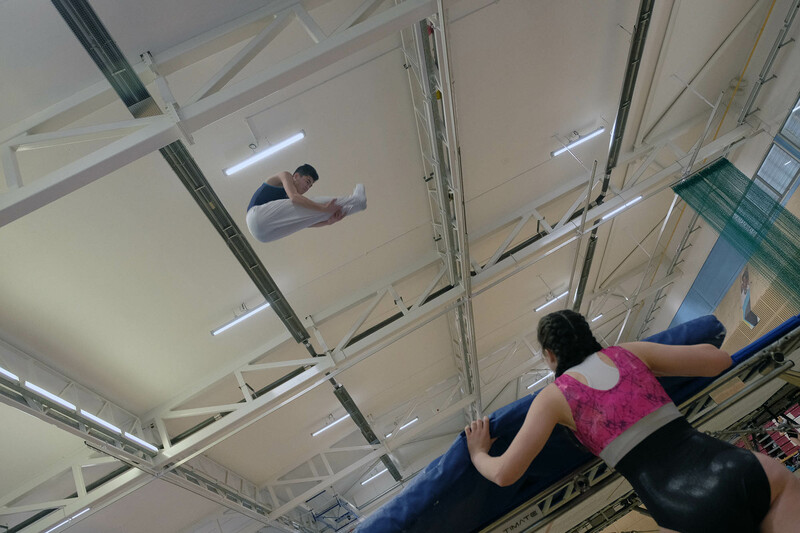 In our trampoline lessons, we provide the motivating and focused sense of team, challenging and supportive coaching and the guidance required to make it to the highest levels of trampoline gymnastics. We have been right at the top ourselves, so we know what it takes to be there. We help each student in our competitive programme by discussing and identifying what they would like to achieve, competitively. We then identify how that can be achieved. We call this their pathway to achieving their dream. We then help each student manage their progress to achieving their dream. The excitement of the journey and the thrill of achievement. We’re with you all the way. This is Chasing Dreams. This is our foundation class. 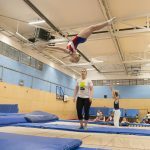 In these trampoline lessons, the focus is on learning and acquiring a combination of fundamental skills, jumping technique and body management before progressing to skills such as somersaults and flips. This is all done within an atmosphere built around fun, friendship and a strong sense of team. Enrolment into the Jump & Tumble age 4-10 class is the starting point for new members wanting to focus on competing when they are ready. This is our programme for gymnasts aiming for the National Development Plan Championships. 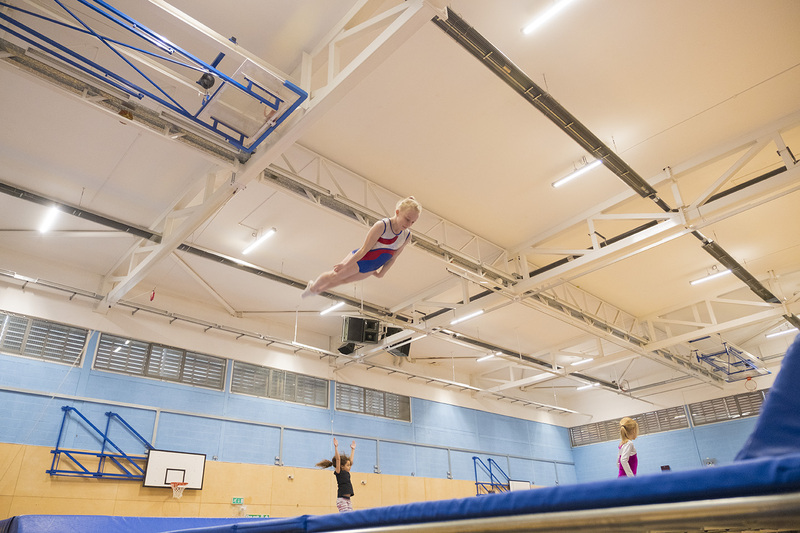 Somersaults with twists and somersaults from the body landings are introduced in these trampoline lessons. This is our programme with gymnasts aiming for the National Development Plan Championships and the English Championships. 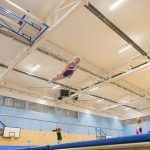 Multiple twisting somersaults and double somersaults are introduced in these trampoline lessons. This is our national level class aiming for the British Championships and beyond. 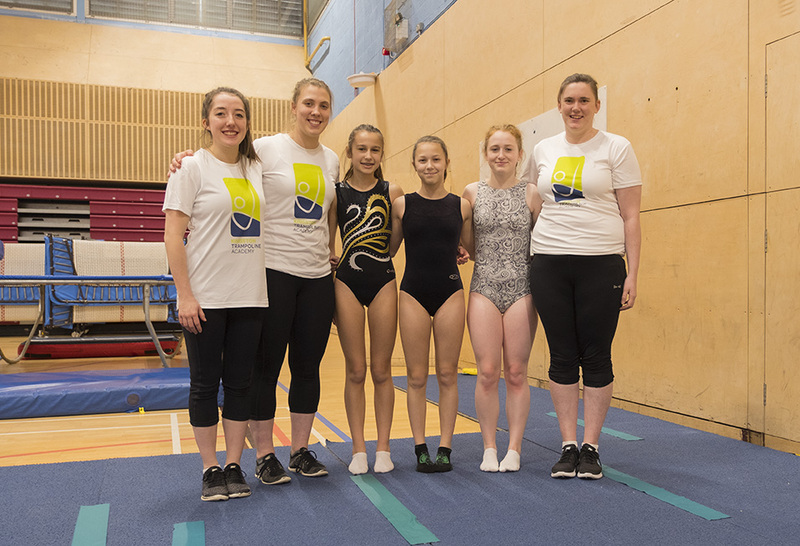 Hear from Chloe on her experience as an athlete member of the academy. Can my child start in an Athlete class? 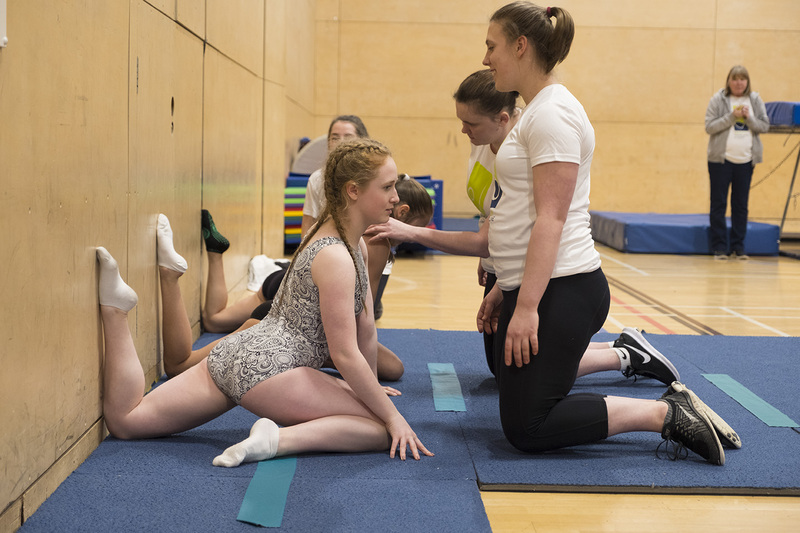 The majority of our athlete students progress through our leisure classes and are invited to join the athlete programme. 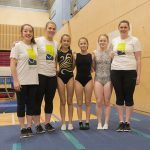 If your child has previous experience in a gymnastics discipline, diving or an aesthetic sport we would love to hear from you. We invite all students to a free trial class where we will assess their level and ability. If we feel they need more work on the fundamentals we will suggest a leisure class. If they are at a level to join an athlete class they will start a two week trial. At the end of the trial the coaches will make a decision if the class is the best option for the student. What age do you start your Athlete classes? Children aged 4-10 years can start immediately in the Jump & Tumble classes. 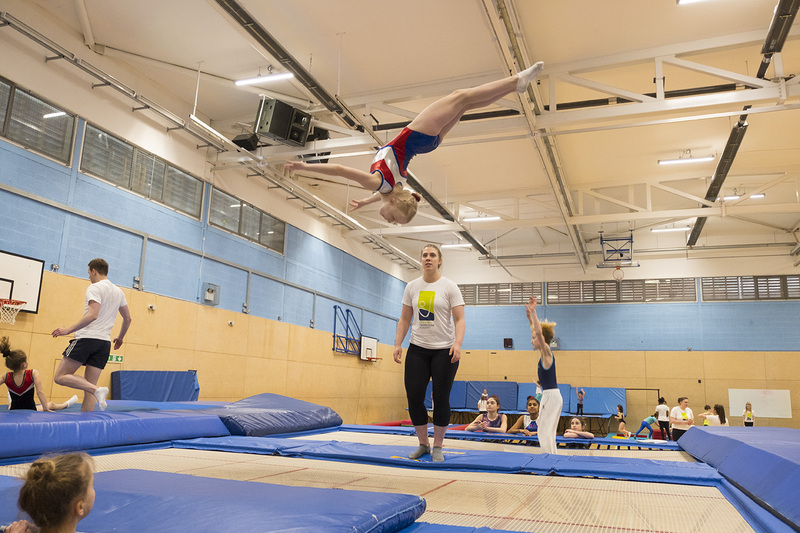 This is the first level of our athlete classes which is focused on skill acquisition, learning to compete and the key principles of trampolining. 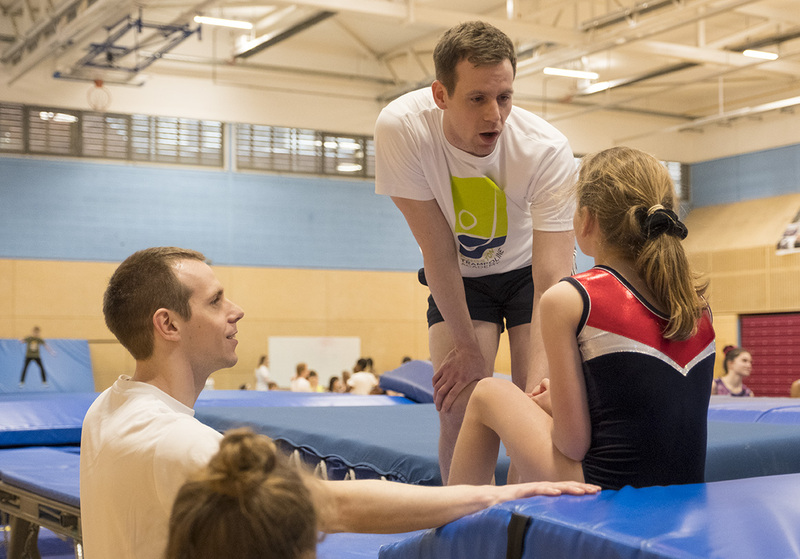 Children in this programme are then invited to join the Dream Chaser - Level 1 athlete class. To trial for Dream Chaser - Level 1, Level 2 & Level 3 athlete classes we recommend age 8+. How do I know if my child is ready for an Athlete class? Students in the Jump & Tumble class will receive an invite to join the Dream Chaser - Level 1 class once they have achieved 516 stars on their Skill Tracking and completed Award 9. Does my child have to attend all the training days? Yes. All the Dream Chaser classes are timetabled over multiple days across the week. A requirement of the athlete programme is to attend every class. Does my child have to enter the competitions? The qualifying events happen in London which lead to events all over the country. Families with students in the athlete classes will need to commit to overnight stays, travel and time off school when attending the national events. What is Chasing Your Dreams? At the beginning of the season each student and their coach will sit down work through the Chasing Your Dreams workbook. This helps the students to share their dreams and aspirations with their coach which helps to plan the season ahead. This is then reviewed throughout the season. What do they wear in an Athlete class? We ask that all athlete members in Dream Chaser - Level 1, Level 2 & Level 3 train in competition attire. For girls this is a leotard and for boys this is a leotard with either gymnastics shorts or trousers. Everyone must wear white socks, remove all jewellery and have neat and tidy hair.